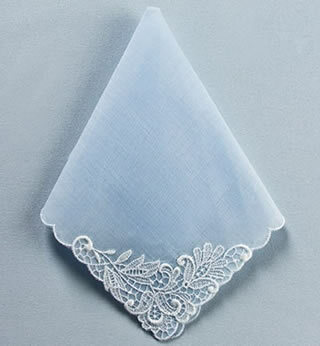 This blue linen handkerchief will be the perfect "something blue" on your special day. 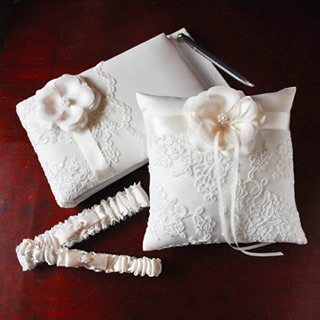 A must-have wedding accessory, this elegant embroidered hankie will capture your happy tears. Makes a great shower gift. 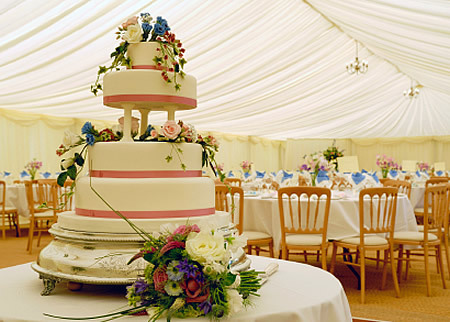 Having the traditional money dance at your wedding? Be sure to pick up a money dance bag. 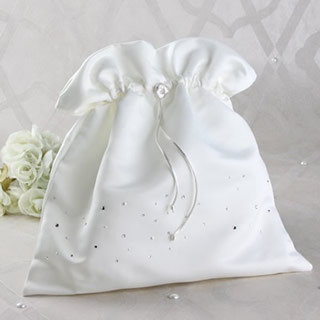 Every bride is a star with the sophisticated glamour peau de soie Money Bag adorned with pearls and genuine Swarovski crystals. 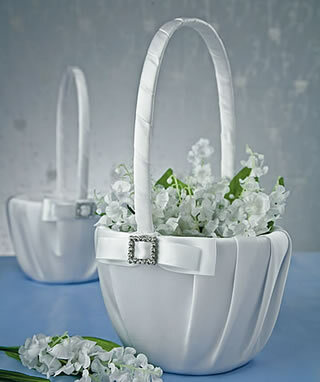 Todays flower girl baskets come in an incredible variety of colors, shapes, sizes, and styles. Gone are the days of the plain old white lacey flower girl baskets! Make your flower girl feek like a super important part of your ceremony by coordinating the flower girl basket with your other wedding accessories, your wedding colors, and her flower girl dress. 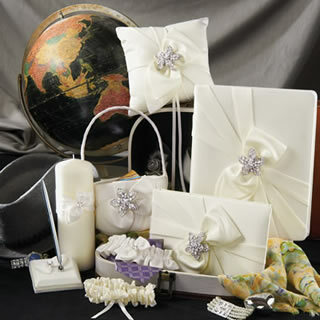 Select your flower girl basket from our wide assortment of trendy and classic styles available at WhereBridesGo.com. What better way to celebrate the new Mr. and Mrs. than our ampersand bottle stopper, designed to bring the happy couple front and center! 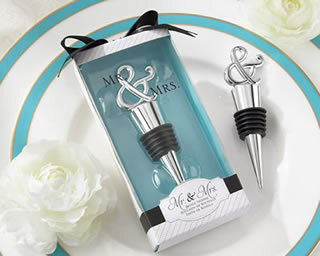 This punctual and practical thank-you present reminds guests you'll be together and happy the rest of your lives! 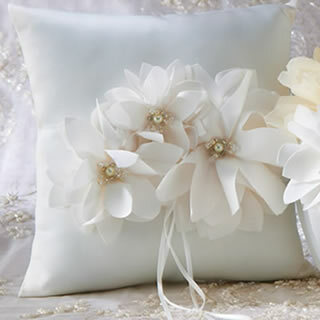 This exceptional garter is the ideal finishing touch to your wedding day look. The crystal button feature on the reverse side ensures a perfect and comfortable fit. It's elegant, fashionable and completely adjustable. Made of vintage ivory matte satin with classic white lace overlay and beaded applique. Truly vintage chic! A modern twist on an old tradition, our Floating Unity Candle Set is more than just a candle. 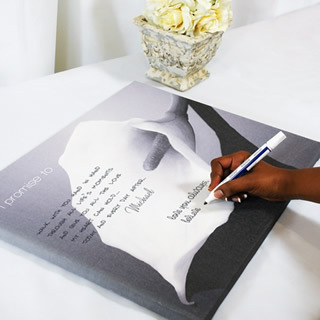 It’s also a pretty personalized vase that can be used again and again, the perfect way to remember that special day for years to come. 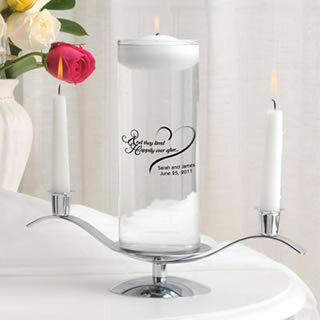 This unique addition to the wedding ceremony comes complete with personalized vase, floating candle, stand and two 6" tapers and is offered in a variety of attractive designs.